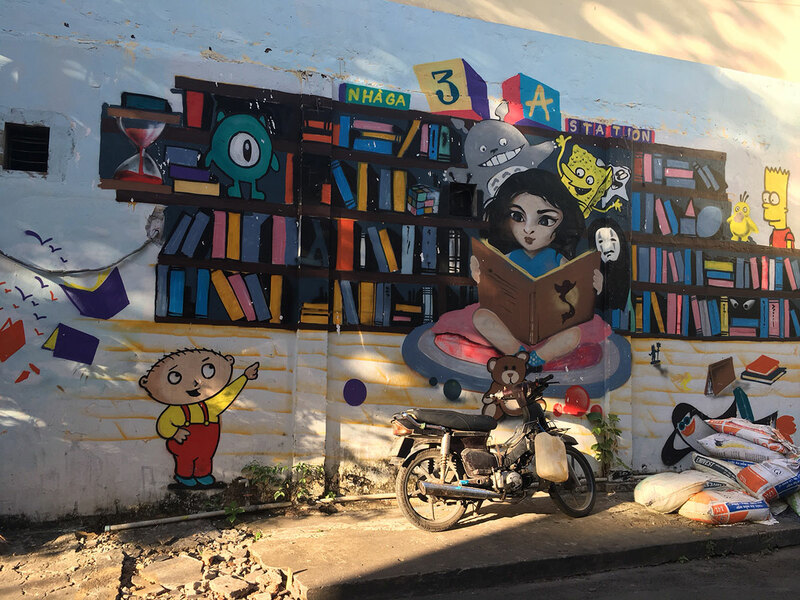 When you visit Vietnam, these are the Must Visit Sites in Hoi Chi Minh City (Saigon). 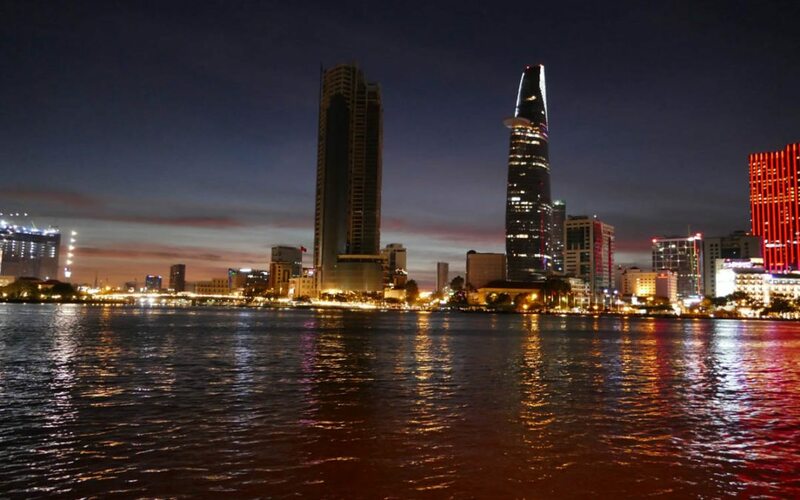 Saigon is the more familiar name of this very popular city to visit. The city is beautiful, diverse and might I mention, great bang for your buck, for Vietnamese dong in this case. The city will scare the bejesus out of you as you cross the roads, and then charm you with its French colonial charm, and wide boulevards. Hoi Chi Minh City (Saigon) is cheap as is the rest of Vietnam, making it a very attractive tourist destination. More than that is that there is a significant history in Vietnam that is worth exploring. 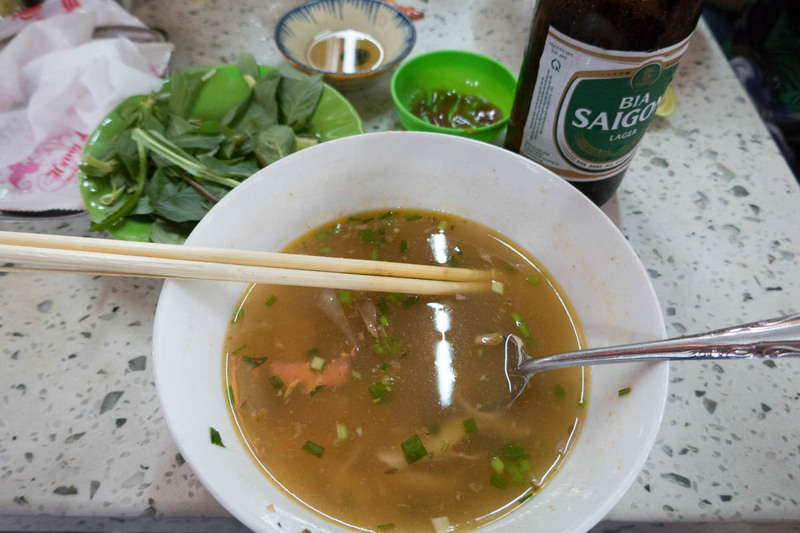 The people of Hoi Chi Minh City (Saigon) and indeed Vietnam love their food, and again with good reason. This is a city and a country that is beautiful. It doesn’t have that Asian city smell as there is a lot of pride in the country. 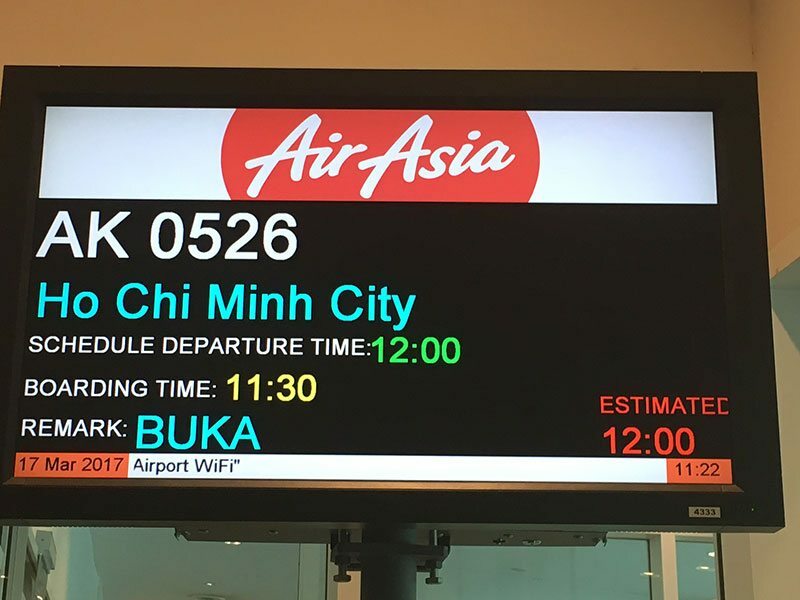 Hoi Chi Minh City (Saigon) and Vietnam are safe to visit. Obviously, exercise some caution with carrying valuables, and don’t carry your passport with you unless entirely necessary. 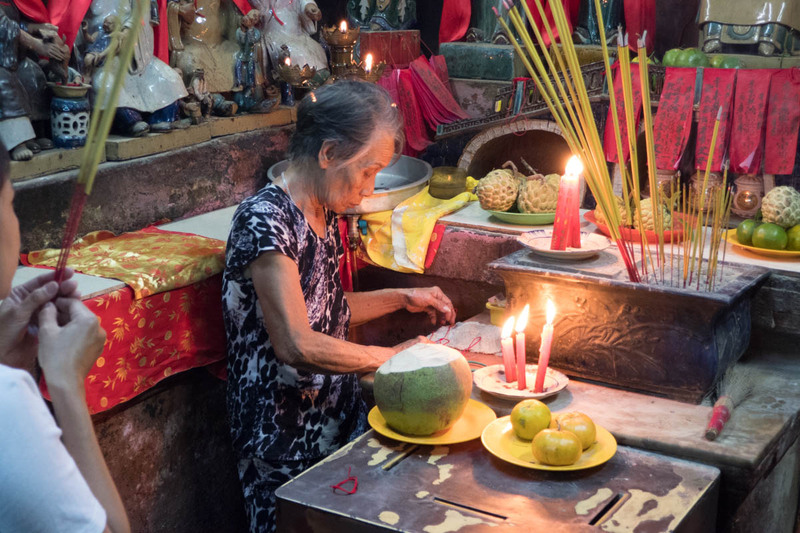 88% of Vietnamese people are Buddhist, and this gentle nature is in evidence. The city has a population of 8.426 million. There are 7.4 million legally registered motorbikes on the road. How many illegal one’s is anyone’s guess. The currency used in Vietnam is dong, and it is handy to have the xe.com app on your phone for quick currency calculations. Vietnam has surpassingly good internet in the main. We purchased a Sim Card at the airport and were very happy with it throughout the country. You can read our recommendations here. AirAsia has very cheap flights leaving from Sydney, Melbourne, Gold Coast and Perth. Read about our positive experiences here. You will arrive at Tân Sơn Nhất International Airport. From there, the easiest way to get to your hotel is to take a taxi. Make sure it is metered. Vinasun Taxis are a good brand to choose. 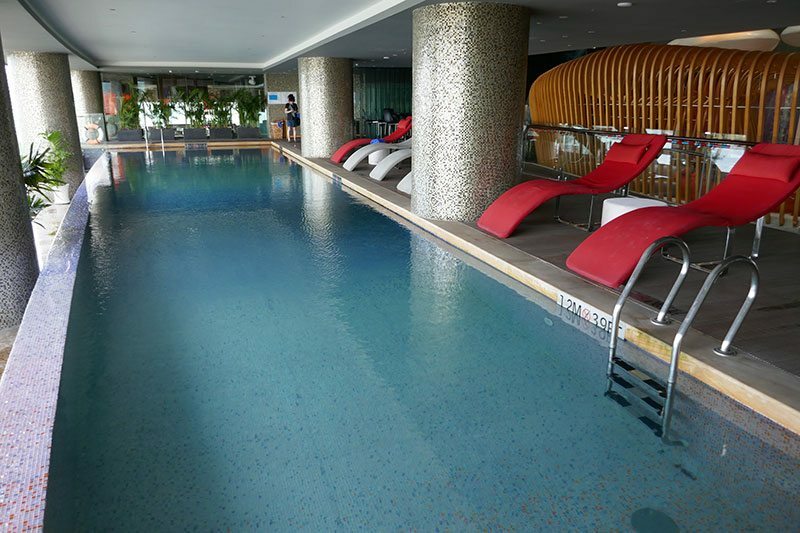 It cost us a little under 160,000 VND to get to Le Le Meridien Saigon on the river front. Vinasun taxis are bright green. 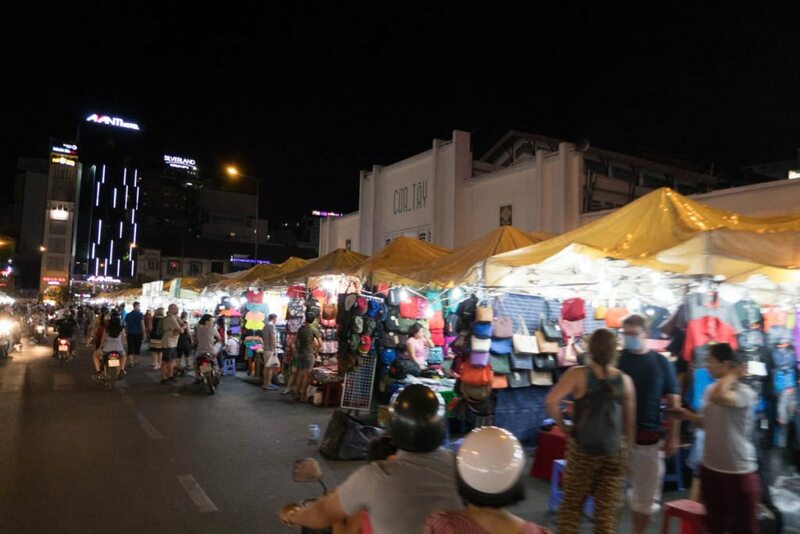 If you stay centrally Saigon is very easy and very pleasant to walk around. Ok, you have to cross the roads which are jam packed with motorcycles, and it is intimidating, to say the least. Ok, you will be terrified but once you do it, you will approach these encounters with bravado. 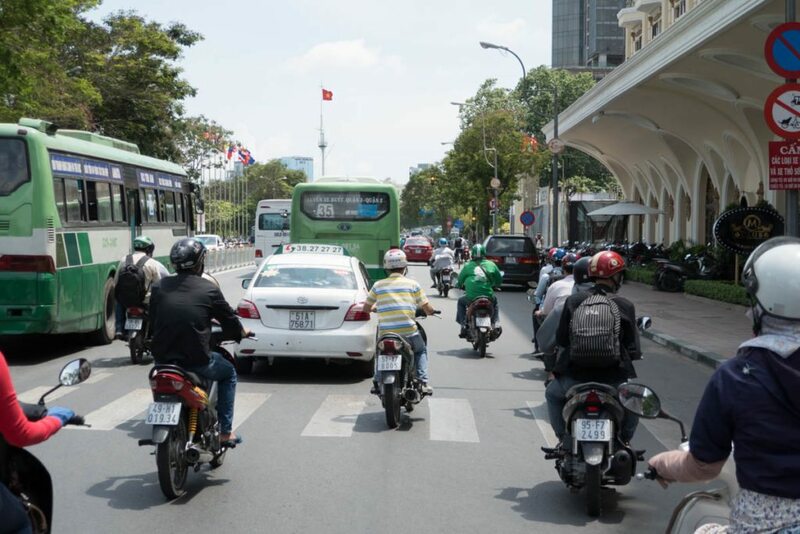 The Vietnamese bike riders have an innate sense of what is around them, and will avoid you. The cars not so much. Here is my advice: Walk out with confidence and, whatever you do, DON’T STOP. Do NOT look at what is around you, but stare at one point across the road and above the crazy traffic and walk to that spot. Then pat yourself on the back, because you will be crossing a lot of roads. 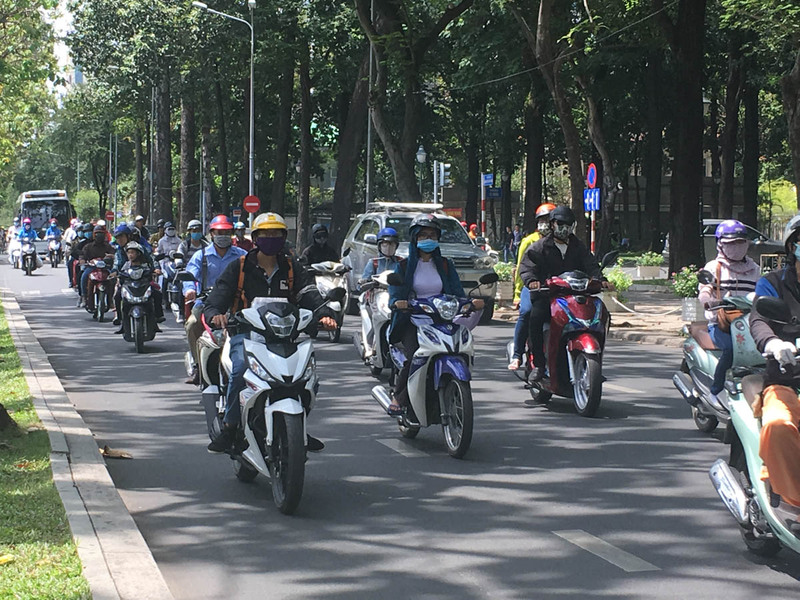 You can take a taxi if you like, but then, you will miss a lot of the action on the streets, which is probably the most enjoyable part of your Top Things to do in Saigon. An even better way is to hop on the back of a motorbike and explore the city as locals do. We happened upon a fantastic tour company called One Tour Adventures and did 2 of their trips from the back of a motorbike ..sometimes hanging on tight ..as we dodged pedestrians. The first was with some young university students wanting to improve their English, who took us to many of the cities historical sites. It was easily a highly of our trip to Saigon. 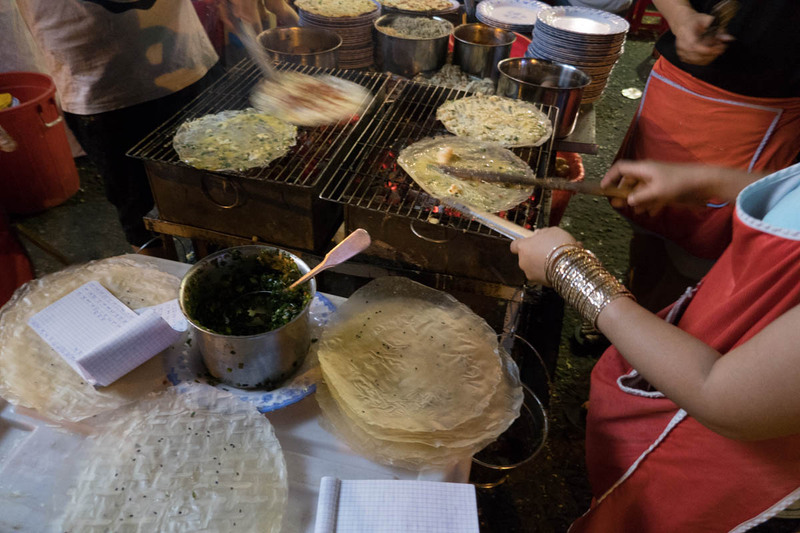 The second was night street food tour of Ho Chi Minh City or Saigon on a motorbike, and again it was one of the best experiences. 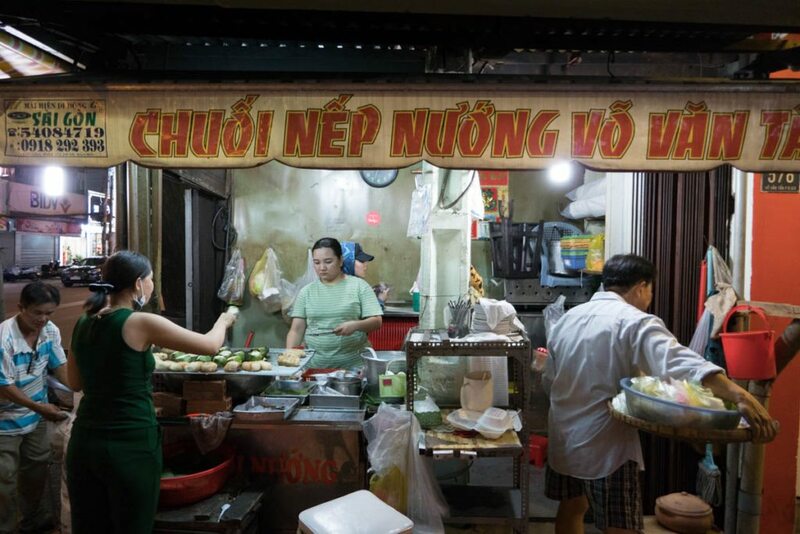 As many of the local places are holes in the wall with little to no signage, it pays to go with a local who can show you very real and authentic street food eating. You can read about what a great time we had here. If we had time, we would have gone on another trip to the Mekong Delta with One Tour Adventures, as we loved their professionalism and enthusiasm. 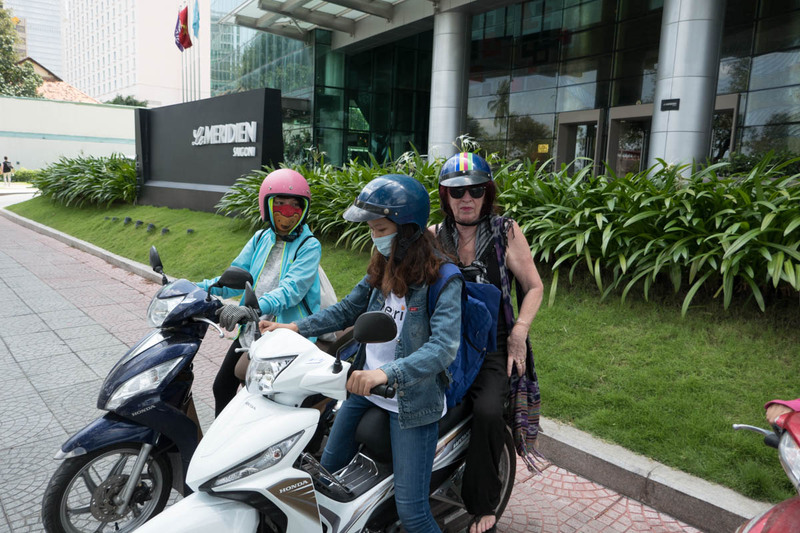 We were not working for them, Gordon just found a review about this young company and we thought we would like to explore the city via motorbike. 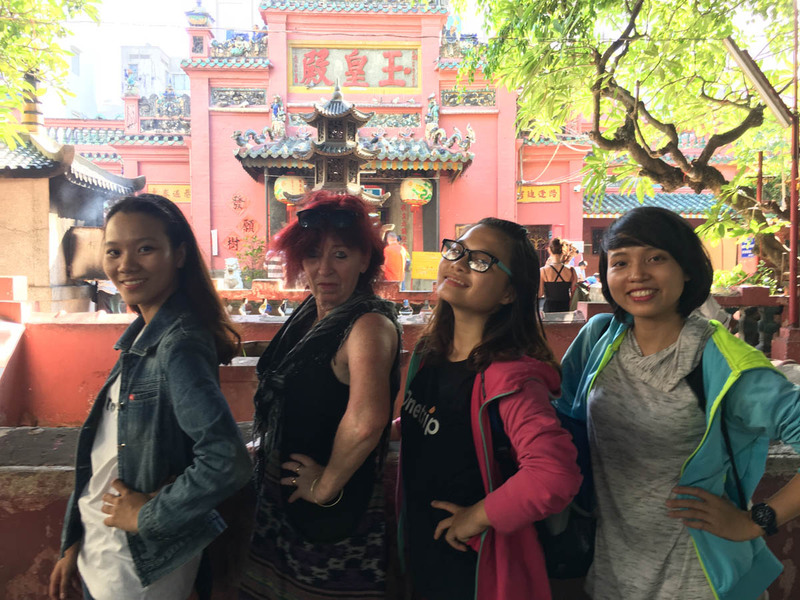 Many of these historically important cities we saw with the girls of One Trip Adventure – Phạm Thị Như Thảo and Trần Thảo, and Phuonh, on the motorbikes and others we walked to ourselves. 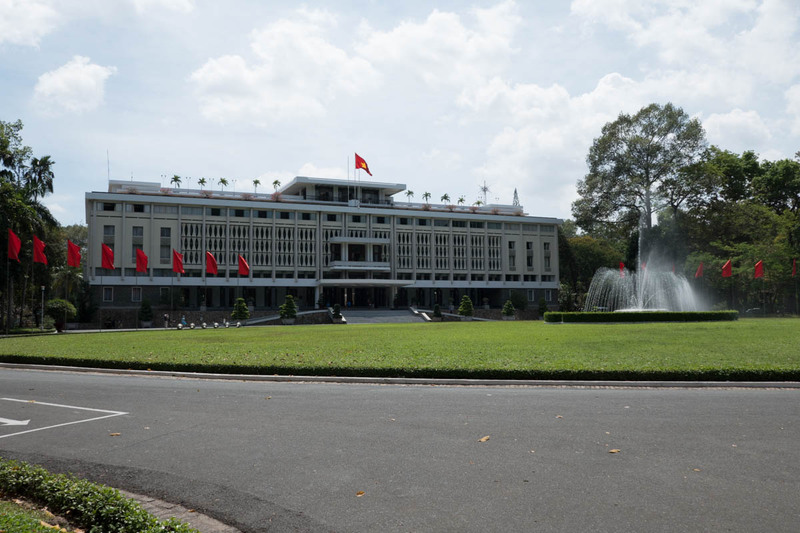 It was the home of the former president of South of Vietnam and has an impressively preserved Art Deco interior. 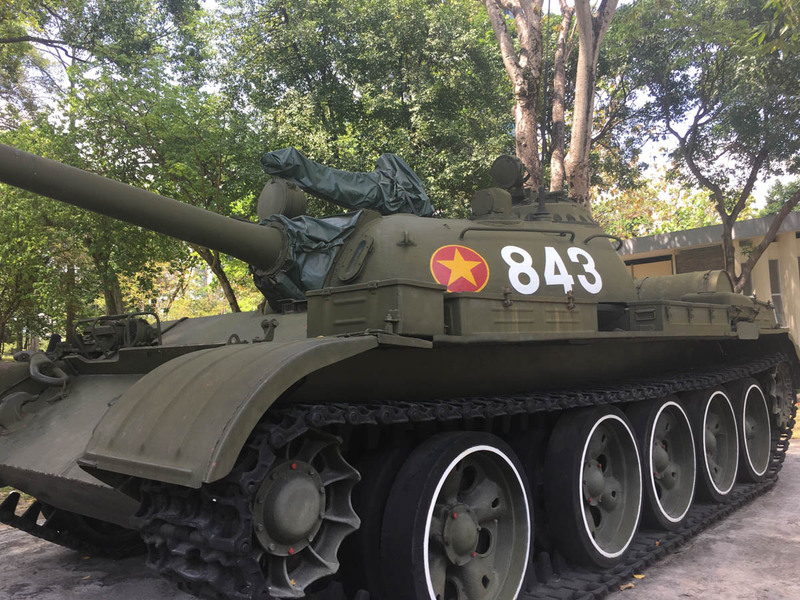 The first Communist tanks to arrive in Saigon came here on 30 April 1975. It is very interesting in a macabre type of way. Open hours: 7:30 am – 11 am and 1 pm – 4 pm daily. The War Remnants Museum was once called the ‘Exhibition House for US and Puppet Crimes’ in 1975. The American Information Agency was located here, and it is a very confronting reminder of the war. Opening hours: 8 am – 11 am in the morning and 3 pm – 6 pm in the evening on weekdays only. 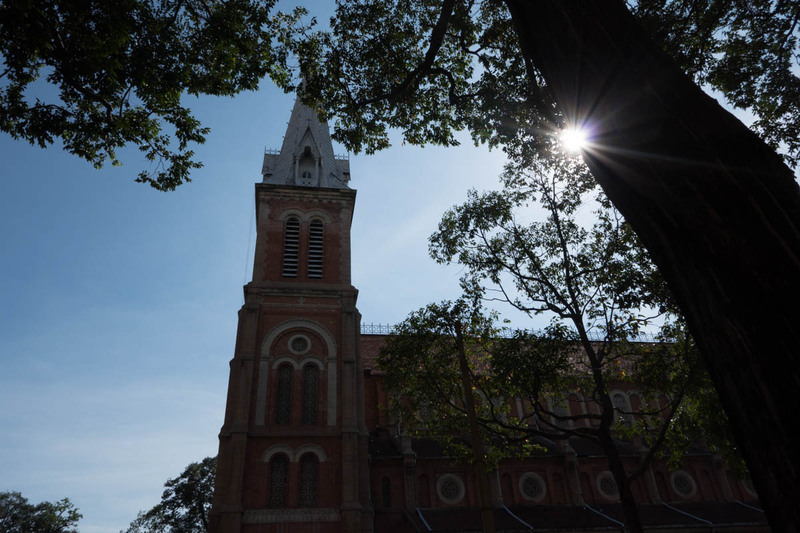 Right across the street from the Saigon’s Cathedral of Notre Dame, within the same city square, is yet another renowned landmark, the Central Post Office, that began construction back in 1886. Send a postcard to your family from here, because people do still like receiving postcards. 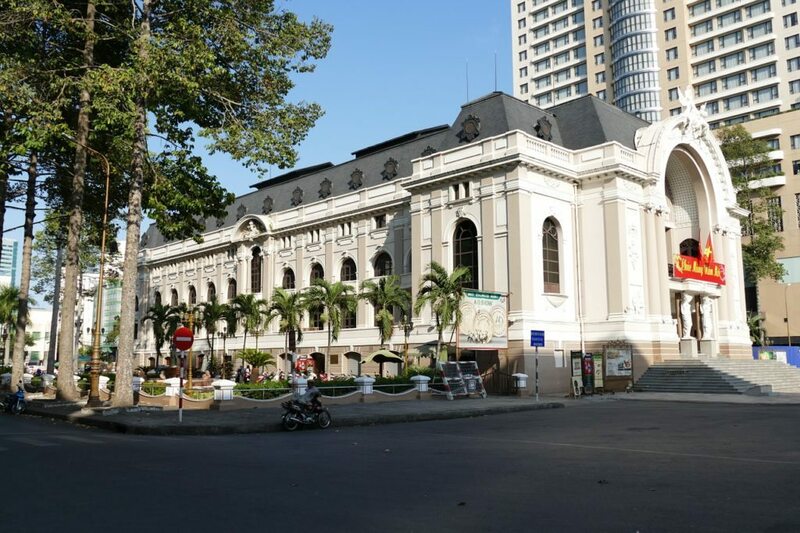 The Saigon Opera House Is Considered to be one of the best representations of French colonial architecture in Saigon, the Opera House theater was built in 1897, and has been beautifully preserved. Of interest is the theater was set to be two meters higher than the street surface with two door layers in order to prevent traffic noise. 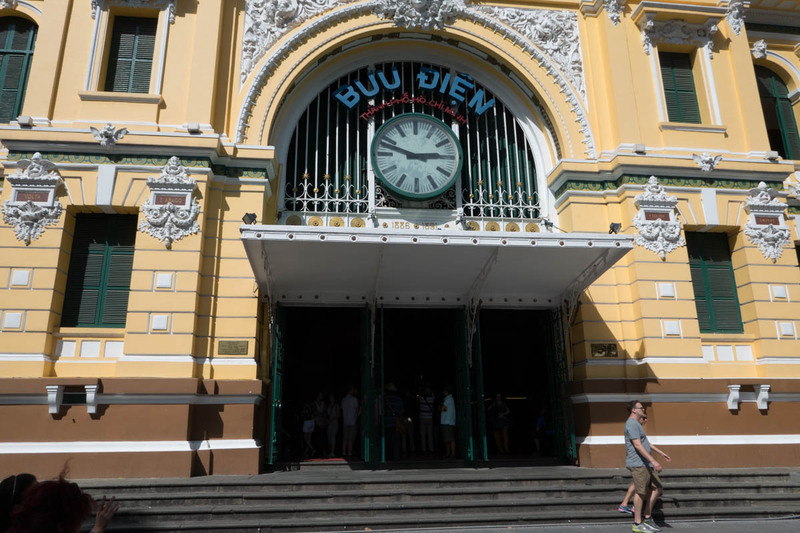 Located in the heart of Ho Chi Minh City’s District 1, it’s probably the most famous central landmark of the city. Yes, it is touristy, but it is worth a wander through to look at the different items for sale. 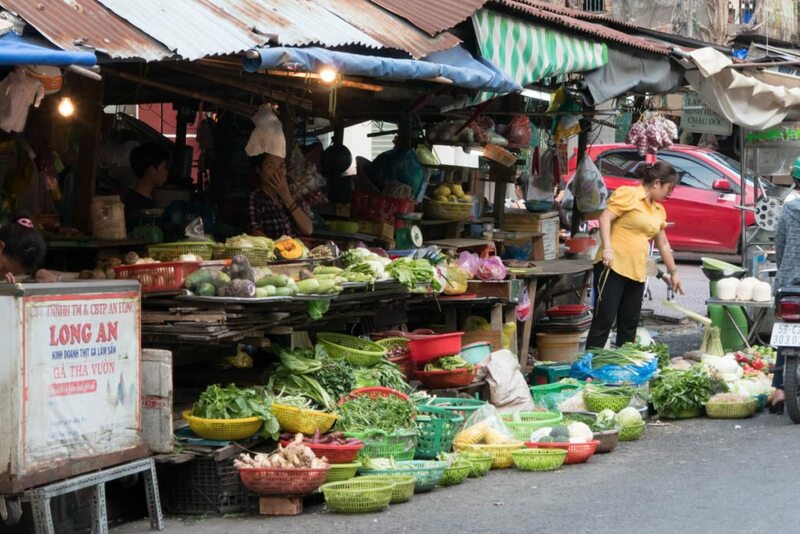 The Vietnamese are not pushy, but if you do want to buy something, it is expected that you haggle. When we were there, you generally paid about a quarter of what their original asking price was. 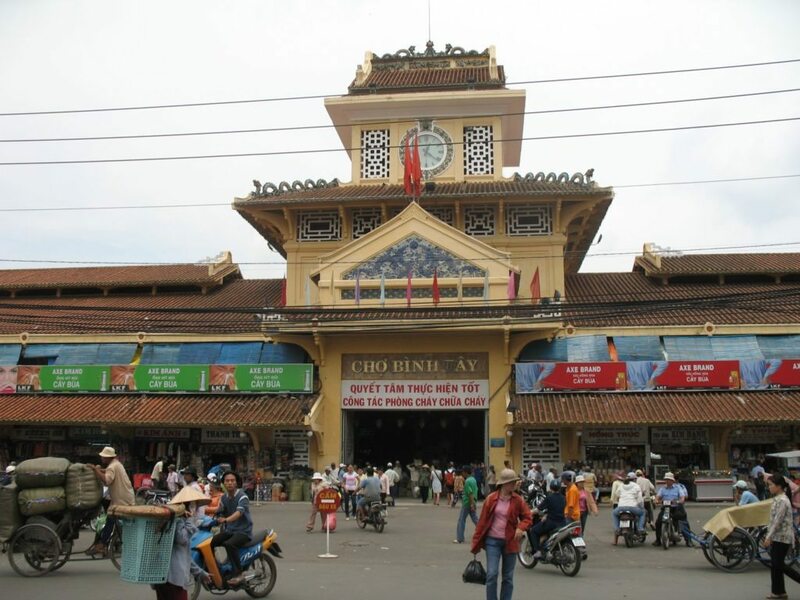 Binh Tay Market is in the Cholon area of Ho Chi Minh City or the Chinatown district and is less touristy than Ben Thanh Market, but both are worth seeing. 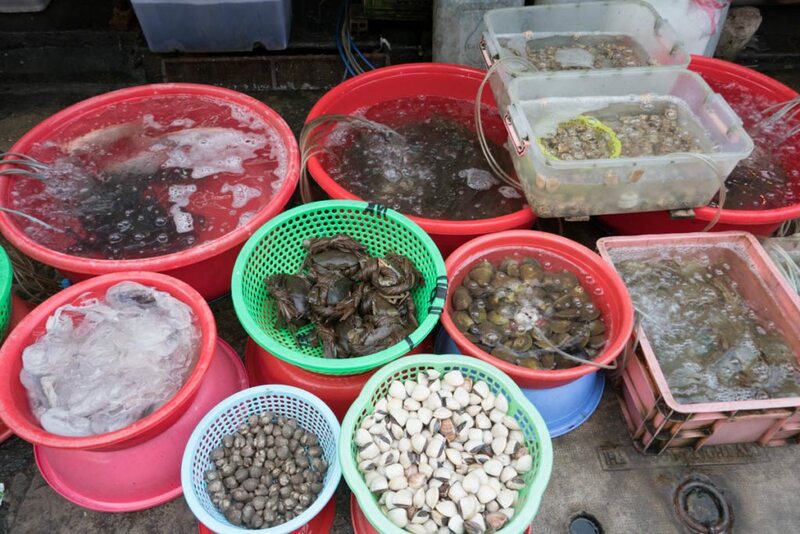 A wet market is a market selling fresh (as in most a still kicking) meat and produce. These are our favorite places in any city, but especially in Asia, and definitely in Vietnam. This is where you get to see the local people at work and play, and play mostly involves eating. At times smelling terrible because of the raw meat and fish, it is still a glimpse at the way people live in Ho Chi Minh City (Saigon). 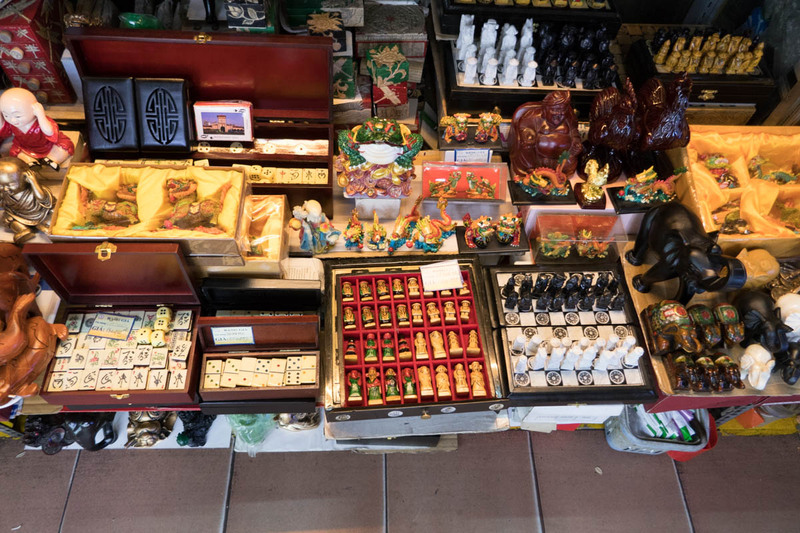 This museum is located just opposite the roundabout from Ben Thanh Market, where you will see a vast collection of artwork, including many paintings, sculptures, and lacquerware, that span the history of art in Vietnam. The view is good, but when everything else is so cheap in Saigon, it makes you wonder whether it is worth the entrance fee. 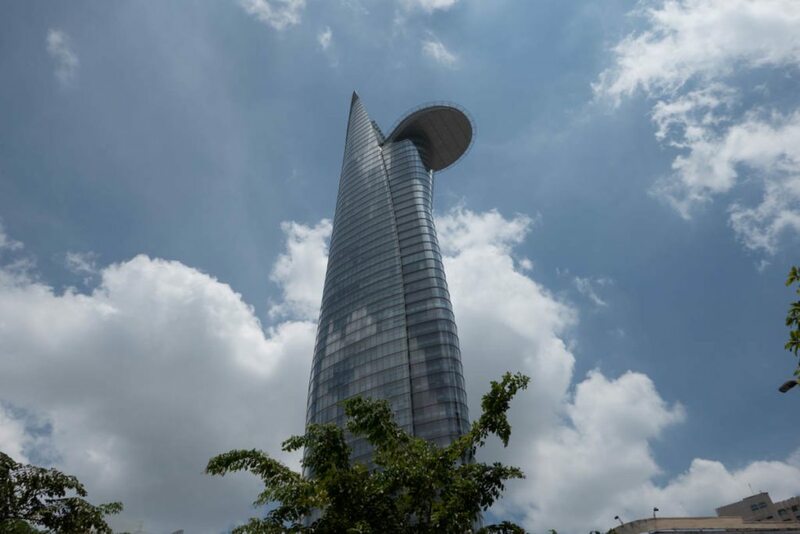 The Bitexco Financial Tower is the tallest tower in Ho Chi Minh City. The skyscraper is designed to look like lotus bulb. The outcrop of the building is actually a helipad. 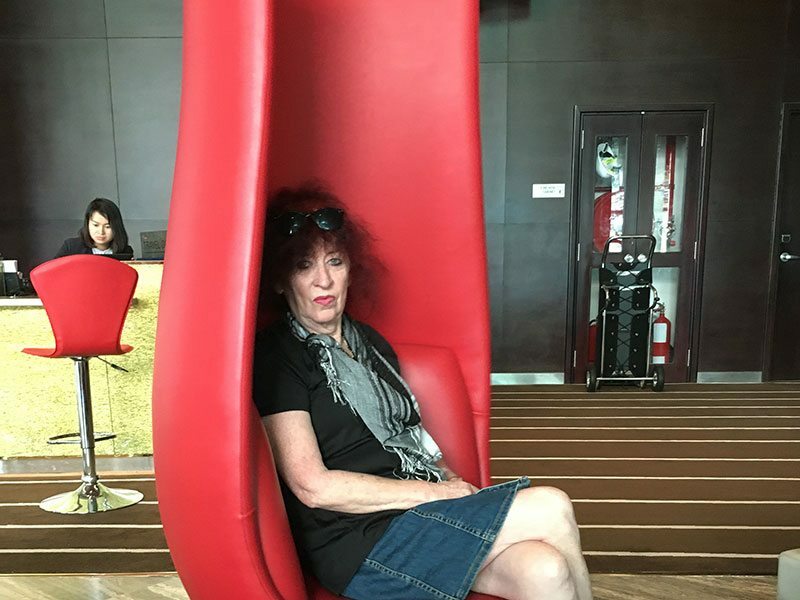 We stayed at Le Meridien Saigon on the river and it was close to everything, with some amazing food and some kickass design and art. Read about it here. Next door is an amazing area of street art. It can be somewhat confusing to decide where and what to eat in this vast city. 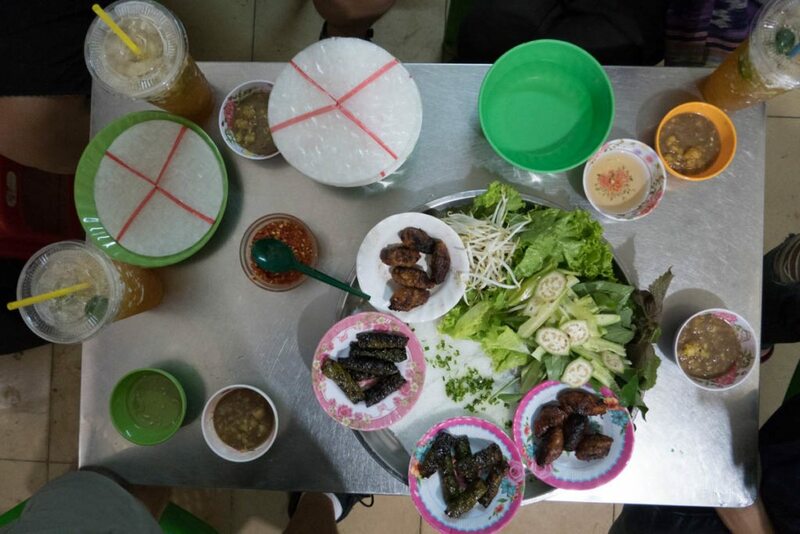 As I mentioned previously if you are after authentic Vietnamese food from the south, then get a local to show you the best places to eat. There is no way we would have found this little hole in the wall coffee place, where the woman has been making Vietnamese coffee the traditional way, if our friends from One World Adventures hadn’t shared this with us. Great Post. It’s amazing, I didn’t know about Obama Pagoda. Thanks to your informational post. 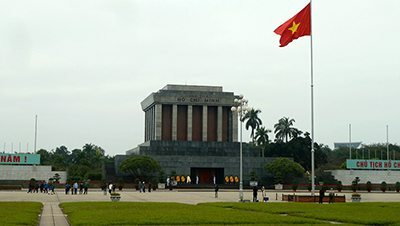 I will definitely make a trip for Vietnam and will remember your tips or recommendations. I love to travel and explore new places where i never went in my life. Thanks for such a great information! Thanks very much, you will love this amazing city. Pictures are awesome in the blog and very well written.